A missing tooth or teeth can affect someone beyond esthetics. It can lead to reduced eating ability and cause trouble with speaking. There are three main options for tooth replacement: removable prosthesis such as a denture or a fixed option such as a bridge or partial. This blog will cover the very basics of each option to help explain the differences between these choices. There are more advanced treatments which include a hybrid of two or more of options but we will cover those in later posts. First, a removable option such as a partial or complete denture. For an individual to have a complete denture, typically all the teeth and their roots have been removed. The traditional denture is removable and relies on there been ridges of bone and surface area to provide retention and resistance form. Many people who have both upper and lower complete dentures will tell you their upper is fine but the lower is a challenge. This is because the upper has the roof of your mouth, aka the palate. This area is firm and allows for suction development to aid in holding in the denture. The lower jaw does not have this space, instead it has the floor of the mouth, tongue and cheek muscles. Try speaking aloud and focus on these structures. You will notice that to pronounce proper phonetics, your tongue may push forward while your lip muscles may relax or move in a different direction. These muscles cause constant dislodging forces which the denture most resist to stay in place. Unfortunately, once you lose your teeth, your bone will continue to shrink away if no intervention such as an implant are used. As the bone shrinks, the dentures will be more effected by the muscle movements and will become less stable. Besides being challenging to wear, complete dentures can affect one’s ability to eat and enjoy food. Some studies have found traditional dentures can leave a person with about 20% of the chewing ability as someone with all their teeth. Many chewier foods such as tough meat or sticky foods can be impossible for you to eat. Furthermore, many patients complain that they are unable to taste foods as well as they could before dentures. Many of these challenges with complete dentures are reduced if the patient is able to maintain a few healthy teeth and can have partial dentures fabricated instead of complete dentures. Partial dentures rely on healthy teeth to hold on to in order to be able to reduce the amount of surface area covered with the upper and to improve chewing ability. Partial dentures will put extra force on the remaining teeth and overtime these teeth may become mobile or begin to have other pathology. If you are hoping to replace your missing teeth with a fixed option, one option is a bridge. A bridge is a fixed prosthesis that spans over the area of missing teeth. If you think of a structural bridge over a river, you need to have two strong ends to provide the support to carry the weight over the river. This is the same with a bridge for your teeth. The minimum number of teeth involved in a bridge is typically three. One on each side of the missing tooth and then the pontic which is the tooth that replaces the missing one. Depending on the teeth involved or other structural support issues, your dentist may decide to add more than one tooth on either side. The teeth included in the bridge are being asked to take more force to replace the missing teeth. A bridge is a fixed structure which acts more similar to a natural tooth than a removable option. Since the bridge is fixed, your ability to eat will be similar to what it was before you lost the tooth. One extra challenge to a bridge is hygiene. To protect the bridge and provide the best prognosis, you must clean underneath it including flossing. Another issue is if an issue develops with one of the teeth, you may have to replace the entire bridge. Therefore, you are taking a one tooth problem (the missing tooth) and making it a three-tooth problem (the abutment teeth). An implant is a fixed prosthesis that replaces a single tooth. There are implant bridge options and other varieties of advanced restorative options out there but for this purpose we will focus on a single tooth implant. 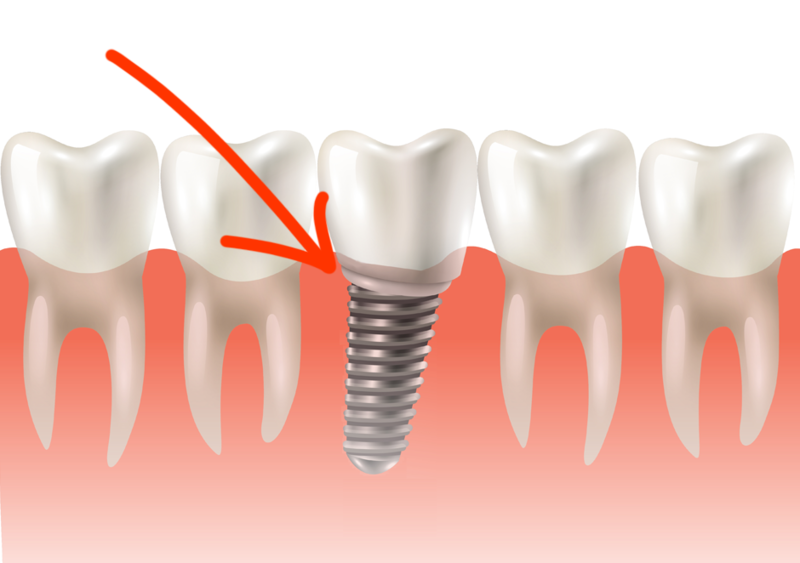 A dental implant in simple terms is a screw which is placed in the bone. Once the bone heals and the screw integrates with the surrounding bone, the implant has a crown secured on to it. This then finishes the implant and replaces the tooth. The dental implant out of the other options described previously are the most natural tooth-like solution. It stands as a single tooth. It does not connect to adjacent teeth and can be easily cleaned around just like a natural tooth. The implant typically provides the most esthetic option as it maintains more surrounding bone and typically results in a more natural appearance. Implants are not able to suffer from dental decay but the surrounding bone can suffer from a similar pathology to gum disease if not cared for properly. Many dentists recommend a night guard with a dental implant due to the biological differences between a natural tooth root and the implant. 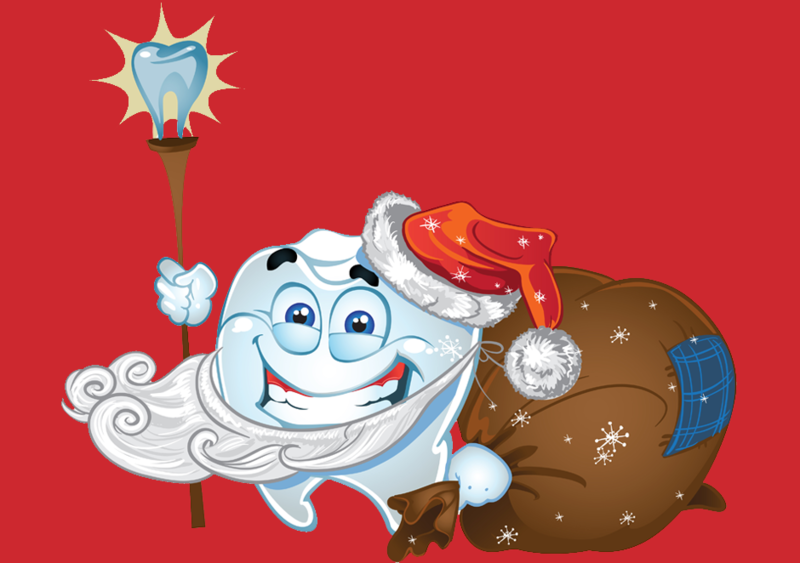 A natural tooth root has a ligament surround it in the bone which acts a buffer from heavy forces. This ligament is like a shock absorber to protect the tooth and the bone. A dental implant does not have this ligament structure and instead the bone is fused with the implant. Therefore, if a patient is a grinder or severe clencher, the natural teeth can move away slightly from these forces while the implant stands solid taking the brunt of the force. Long term negative forces can cause issues with the implant including fracture or screw loosening. There are many different options for replacing teeth. The most common options to replace a single tooth include a partial denture, a bridge or an implant. We will look further into the more advanced procedures which some combine these models into different hybrid options such as an implant retained denture in future blogs. Speak with your dentist to learn more about the options which are right for you.